Providing Practical, Long-term Solutions via Neuroplastic Learning Connections. Last Minute Gifting Ideas (And They’ll Love Their Brain) All Year Long! Schedules: To See or Not to See? Learning to Test or Testing to Learn? Journal of Head Trauma Rehabilitation Abstract May/June 2015 Publication! In the previous article, we discussed the science behind sensory processing skills, the brain centers involved, and the signs and symptoms of the modulation disorders. We also mentioned that the most efficient ways to encourage development of these skills was through a sensory diet targeted toward executive function skills. In this article, we shall break down these skills and match them with the suggested sensory diets that will not only enhance but continue to decrease chances of modulation meltdowns and difficulties with comprehending the overall environment. First however let us define what we mean by Sensory Diet in the first place. The term “Sensory diet” was coined by Occupational therapist, Patricia Wilbarger (1984), and can be defined as a carefully designed, scheduled activity plan, that provides the sensory input a person’s nervous system needs to stay focused and organized throughout the day. Each sensory diet is specially designed to meet a child’s specific sensory needs. Wilbarger and Wilbarger (1991) developed the approach to provide the “just right” combination of sensory input to achieve and maintain optimal levels of arousal and performance in the nervous system. The ability to properly identify and respond appropriately to sensations can be enhanced by a proper sensory diet. There are certain types of sensory activities that are similar to eating a “main course” and are very powerful and satisfying. The most powerful and longest lasting activities on the nervous system include deep pressure touch, joint compression or traction, movement, and heavy work (Wilbarger, 1995). The Wilbarger Approaches target the seven senses based on a person’s defensiveness or modulation symptomatology. The difference in the Execu-Sensory Diet that we utilize is the focus on the preparation of the sensory system for cognitive input. What that means is the diet is meant to support the growth of Executive Function Skills, no matter what the age or the need for a surrogate Pre-Frontal assistance from an adult. Therapeutic massage is utilized to improve the tactile and proprioceptive systems. We utilize this on four extremities in an orderly fashion, and is usually done in a proximal to distal motion to desensitize the sensory nerves and ultimately send messages to the brain that a particular arm and/or leg is being isolated and given feedback. 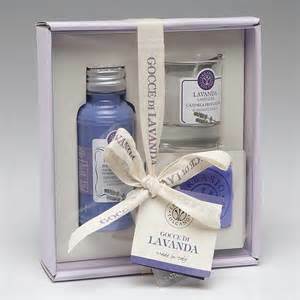 Usually also during the therapeutic massage, relaxing oils or lotions such as lavender chamomile scents that are hypoallergenic and have thick consistencies help reduce the friction and improve the natural biological feedback.Therapeutic Massage stimulates Gamma-Amino Butyric acid (GABA) in the brain, which is responsible for the sense of well-being, calming the nervous system down. Response Inhibition is the suppression of a person’s actions that are inappropriate in a given context and that interfere with goal-driven behavior. 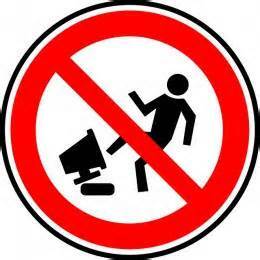 For example, it is one’s ability to control calling out, storming out of a classroom, or touching others or other people’s property. Sustained Attention, or vigilance, as it is more often called, refers to the state in which attention must be maintained over time. It would be listening and attending to a classroom lesson or mini lesson for at least 5 minutes even when there are distractions in the room. Therapeutic massage supports the development of these two skills by giving the extremities the grounding force to be able to attend to the task and decrease impulsive responses because the brain is able to map out where the person is in space and can maneuver the environment appropriately depending on what the current demands are required of them. Therapeutic Brushing is more famously associated with the Wilbarger Brushing Protocol that is commonly used for people with tactile defensiveness, and for Autism-like presentations of touch sensitivities. 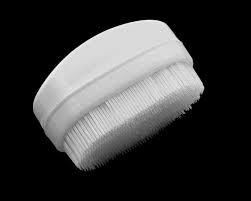 The Therapeutic Brushing we utilize however does use the Therapressure Brush that the WIlbarger Protocol uses, however it is similar to the Therapeutic Massage wherein it is done proximal to distal and only on four extremities in an orderly fashion; whatever arm or leg that was started on with the massage will also be the same arm/leg that will initiate the brushing as well. We strongly suggest that the brushing technique be performed ONLY AFTER the massage in order for the sensory nerves to “zero out” and not be stimulated to a negative “high” to where the fight or flight status of the brain becomes activated. The purpose of the Therapeutic Brushing is to increase awareness centers and promotes Serotonin in the brain, which is the neurotransmitter that helps improve mood and social functioning. Emotional Control is defined by Dr. Richard Guare and Dr. Peg Dawson as the ability to manage emotions to achieve goals, complete tasks, or control and direct behavior. People who struggle with emotional control tend to have angry outbursts or behavior outbursts such as destroying or throwing objects, aggression towards self or others, and threats to harm oneself. Flexibility on the other hand is the skill that is defined as the ability to adapt to new situations, improvise, and shift strategies to meet different types of challenges. For example, a child who may be expecting to see a movie at a particular time and would not be able to due to circumstances would be able to bounce back and restructure the day or be able to find a solution to the disappointing outcome in a more proactive manner. Therapeutic brushing supports the development of Emotional Control and Flexibility mainly due to the release of Serotonin right after the GABA process from the Therapeutic Massage. The sense of well-being meeting the sense of mood stabilization, which includes digestion, appetite and overall memory in learning. Frustration tolerance improves with different situations and thinking processes are supported efficiently by the calming effects and mood stabilization brought about by Serotonin. Joint Vibration is unique to the Execu-Sensory Diet because we utilize a battery operated 4-point massager which is gives out a medium vibration cycle to the major joints of the extremities, such as the shoulder, elbow, wrist, fingers for the arm and the hip, knee, ankle and toes for the leg. As with the first two techniques, the extremity that was started on the first two will also be the extremity that will be utilized to initiate this technique. Of all of the techniques, this is the one that requires the most care; some people will react to the low-medium vibration as ticklish, while others will claim that it is painful and can incite fight, flight or freeze. Usually, however, the reason why this is the third step in the diet is because GABA and Serotonin have already been activated and the sensorimotor system is in ‘trust’ mode. This may not be true for students with extreme sensory processing deficits, thus training is essential for this particular modality. The neurotransmitter that is released by Joint Vibration is Dopamine. This is the neurotransmitter that helps control the brain’s reward and pleasure centers. Dopamine also helps regulate movement and emotional responses, and it enables us to take action to move toward rewards that we see. Metacognition is the awareness and understanding, analysis, and control of one’s cognitive processes, especially when engaged in learning. The overused thinking about thinking is what pop culture uses to define this skill. Working Memory on the other hand, is involved in the selection, initiation, and termination of information-processing functions such as encoding, storing, and retrieving data. It is usually referred to as the RAM system of our cortices, constantly remembering tasks or sequences of skills that need to be rearranged and retrieved at any given moment. An example or using working memory is taking a test that requires one to have access to formulas in short term recall that can be used. 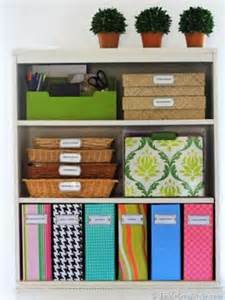 Lastly, Organization is considered the skill of putting things into a logical order or the act of taking an efficient and orderly approach to tasks. The ability to prioritize what should come first, next etc. 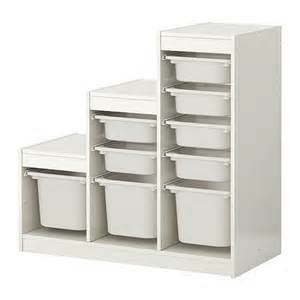 is how organization is developed and displayed on a daily basis. Now, Joint Vibration supports Metacognition, Working Memory and Organization by the release of Dopamine. With the sensation of the brain being rewarded by the experience of joint vibration, the calm of GABA and the stabilization of emotions by Serotonin, the efficiency in short-term recall, hierarchical assignment of tasks needing to be accomplished and the awareness of the processes involved in being efficient and organized are enhanced by the neurotransmission of Dopamine. Learning is equated as something pleasurable and positive. Modified Auditory Integration is a modality that we use with children who have difficulty maintaining where they are spatially in relation to the environment and to others in their immediate proximity. 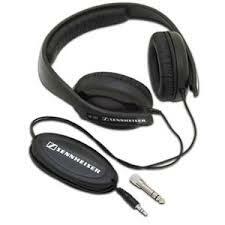 We also tend to use the Sound Health Series at 50% volume with closed, supra-aural, dynamic hi-fi stereo headphones. Auditory Integration is based on the Tomatis Method which is to improve the auditory system, people who can hear sounds may not be able to take in the full spectrum of these sounds, which means they might find it difficult to listen properly. According to Dr Tomatis, this happens when muscles are not working properly and through auditory stimulation it is possible to retrain the muscles of the inner ear so that it can function without distortion. Overall, Auditory Integration initiates Dopamine release in the brain similarly to Joint Vibration however from a direct sensory system rather than from a joint receptor system. This is the only modality that is used from start to finish of the ESD. 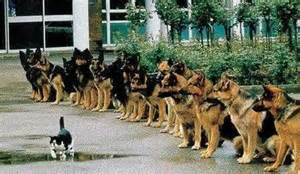 Goal-directed persistence is the capacity to have a goal, follow through to the completion of the goal, and not be distracted by competing interests. 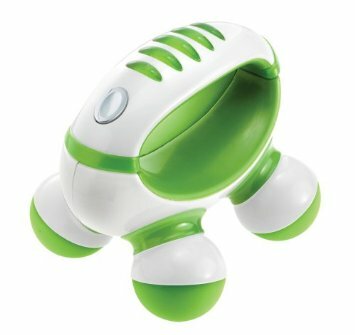 A good example would be when there is a game or a toy that the child may want, and a structured process of steps are put in place in order to ‘earn points’ to get closer to earning the reward, such as doing chores efficiently, or doing well in school allows the child to delay gratification and continue to persist toward the final achievement of the goal. Time Management is ability to plan and control how you spend the hours in your day to effectively accomplish your goals, such as being able to gauge how long an assignment will take to finish or how much longer one needs to be able to get from one place to the next. The opposite of course to efficient time management is procrastination, and for some whose sensory processing systems limit their understanding of time, rigidity in multiple step task accomplishment. Modified Auditory Integration supports development of Goal-Directed Persistence and Time Management by continuing the Dopamine release happening with the Joint Vibration protocol. It meets the joint receptors sense of reward by allowing the auditory system to ‘listen’ not only to the music but also to the body, and ultimately provide that platform to improve and build on sitting throughout the whole diet protocol; time management on the other hand is measured by the ability of the neurotransmission to relay the benefits from Serotonin, GABA and Dopamine thus signalling indirectly the beginning, middle and end of the protocol via the use of the Modified AIT. Counting and Hierarchy involves a specific rote and tonal count in a calm voice from 1-15 for every single extremity and every single modality and technique used. The Hierarchy obviously provides predictability and structure to the diet, to a point that the child can self-direct the diet and ultimately tailor the diet according to his/her needs at given points in time, ultimately breaking them down into what has been coined as Sensory Snacks. Planning and Prioritization is when one organizes work, sets priorities, and determines resource requirements. In this case, the counting and the order of the diets assist with determining the generalized prioritization of the diet as well as anticipation of what is next, and last without increasing Acetylcholine release. Task Initiation is knowing how to get started on a task and sustaining the attention and effort levels needed to complete the task, which in this case again is supported by the predictability of the materials, the diet protocol from one time to the next, the language, the tone of voice up to the signaling of when it is the end. For more detailed information on training of the Execu-Sensory Diet, or for more related literature that supports this particular methodology, please email us or check out our published abstracts related to this topic. Hopefully this will provide you with some clarity on how the sensorimotor systems play an integral part in wholistic cortical development, especially in regards to supporting the development of Executive Functioning Skills. Thanks to our friends at Brainblogger, here you can read the complete article. Happy reading! Over the past decade, we have learned that for every student who is simple to understand or figure out, there are one or two who are a conundrum. Over this same decade we as separate and collaborative professionals have also discovered that the answer to these students’ needs being met is two-fold: 1. Education looks only at symptomology not etiology 2. Education fails to integrate disciplines effectively. Special education needs to stop being about labels and start being about the whole child. Enter the practice of Execu-Sensory and Neuropedagogy. When we look at the child as a whole: brain, body and mind, we begin to understand that more than what teachers are taught in school is at play. Take child development, for example, this class may or may not be required to earn a Masters in Educations, especially if the focus is middle childhood rather than early or elementary. Yet, the brain is not done growing, literally, until the age of 19 or 20 and the prefrontal cortex continues to develop until the age of 25. Not to mention, the developmental surge that takes places during adolescence is akin to the one which occurs during early childhood. How then are teachers prepared to teach the ever evolving whole child if they lack the basic knowledge of brain development. The simple answer is they most likely cannot. The brain is a vastly complex system of electrical wiring and firing that is critical to understanding, given the goal is not only to teach, but teach effectively. However for the purposes of this blogpost, we shall focus the discussion on the fundamentals of Neuropedagogy in practice with some aspects of Execu-Sensory components. Understandable response, seeing as this predominantly European concept is commonly referred in the United States as Educational Neuroscience or Neuroeducation--or perhaps more commonly not discussed among educators at all. It was introduced during an educational summit in 2009 at Johns Hopkins University simultaneously with a “Learning and the Brain” wherein organizers and educators alike agreed there needed to be an interdisciplinary field that combines neuroscience, psychology and education to create improved teaching methods and curricula. It was bringing into focus new links between arts education and general learning, how learning physically alters the brain, and what goes wrong in students with learning disabilities. Neuropedagogy however went further than Neuroeducation. 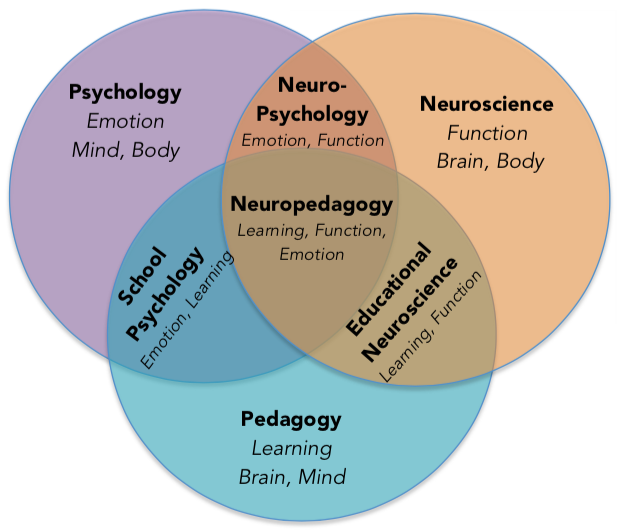 The European definition of Neuropedagogy is when science and education meet and whose scientific aims are to learn how to stimulate new zones of the brain and create connections. It is targeted at stimulating the brains of all types of learners, not only those with students who have learning disabilities. Dr. Judy Willis a practicing neurologist made a conscious transition to the classroom as an educator feels that there needs be research about the brain’s neuroplasticity and the opportunities we have as educators to help students literally change their brains — and intelligence. To become a teacher without understanding the implications of brain-changing neuroplasticity is a great loss to teachers and their future students. Based on the experience and the research we have done on current classroom structures in New York City, we have found that the most effective use of Neuropedagogy was in three sections: Brain Element Neuropedagogy, Body Element Neuropedagogy, and Mind Element Neuropedagogy. The hierarchy of training is dependent on the prior knowledge of brain function, thus beginning the discussion with the brain was the most functional and useful approach. The body then and it’s organic processes were the next step in the training and understanding connections between innervation and control, and lastly the mind which not all fields of classroom instruction fully develop or are able to reach without the clear understanding of how the brain and the body encompass the physics of the mind. To say the least, one would need basic brain to facilitate the body and change the mind. The most obvious reason to share information is for learning, and learning can only be achieved if there is sufficient brain function. In our practice, we lay the foundation for understanding the Central Nervous System (CNS) neurotransmission, the utilization of approximate brain mapping of the cerebral hemispheres, and raise awareness of the unmistakable impact of the digital society on the organic brain. By organizing the hierarchy of understanding based on the processes involved from brain neurotransmission in each section of the cerebrum at any given time, we shed more light into the powerful effects of neuroplasticity, the endless ability for the brain to change itself. There are four that have been identified for learning: Acetylcholine (ACH), Serotonin, GABA, and Dopamine. Ultimately these are the communicators responsible in delivering the information to all the lobes, including the Pre-Frontal Cortex. The PFC is not currently recognized as a lobe; however, the role that it plays in learning and behavior have been measured via Executive Function Skills. Many definitions for executive function skills exist and they all essentially make the same point. The National Center for Learning Disabilities defines executive function skills as,” mental skills that help the brain organize and act on information… [it is the ability to use] information and experiences from the past to solve current problems.” These skills are critical to understand because when they are weak or delayed in developing, they can mask themselves as an educational disability which may lay the groundwork for an Individualized Education Plan (IEP) as determined by a mutlidisciplinary team. For example, let’s say a child is referred for an evaluation for special education services because he is showing consistent negative behavior, such as being unable to focus for more than a few minutes at a time, constantly calling out, and failing to complete homework, all of which lead to decreased academic gains. The child will most likely be mis-classified as having ADHD or a learning disability, which ultimately leads to inefficient or worse ineffective solutions. If the interventionists applied an interdisciplinary Neuropedagogical Approach, a different and more effective outcome may have played out. Now, let’s add a layer of dynamic complexity to Neuropedagogy. Neuroscience has looked at the brains, personalities, strengths and weaknesses of people born after 1986 and compared them with brains, personalities, strengths and weaknesses of people born before 1986. The studies show a significant difference between the two. The over-arching difference: access to the digital world. The first group is digital natives; the second digital immigrants. Digital natives have brains that have weakened pathways for interaction, decreased activity in anterior cingulate gyrus and medial orbital frontal cortex, increased isolation, aggression, passivity, loneliness, etc, increase in cortisol due to excessive brain fatigue, decreased hippocampal size. Digital immigrants, the ones who have the capacity to hand down life experiences effectively via examples and who can communicate thoughts personally are ones who are usually comfortable with familiar technology and shy away from change in that department. They have been found to have faster PFC circuitry as they have had abilities to strengthen neuronal circuits with numerous life experiences, including delaying gratification. WIth all of the Brain Element Neuropedagogy, one can proceed to appreciate understanding the Body and it’s unique processes. In our modern society, people are perceived initially from the way they present themselves. Usually what is displayed from the external body is what immediately connects one person to the next. The body’s senses take in the physical and external world, neuronally process the input and in the cortex it’s given meaning. From a learner’s perspective, the body is both intake and output. As interdisciplinary brain-based practitioners, we shed light into the Sensory Processing Systems, the limitless potential of a person’s Multiple Intelligences and Emotional Quotient (EQ), culminating on the influence of what we have managed to call the 3 External E’s (Ergonomics, Economics, and Environment). The body by itself is a complete sensory organ, however it has been proven by evidence-based practice that the seven (7) senses are the checkpoints of the body: sight, sound, smell, touch, taste, movement and position in space. Research in this area was pioneered by Dr. A. Jean Ayres and current practitioners include Dr. Lucy Jane Miller and Carol Kranowitz all of who have contributed to the education and learning landscape. One simply cannot function by brain alone! Multiple Intelligences Theory was pioneered by Howard Gardner, a developmental neuropsychologist,who played the violin well, wondered if a tool, aside from the Intelligence Quotient (IQ test), could be developed to measure additional attributes to determine a person’s complete intelligence. Another factor we considered was Daniel Goleman’s Emotional Quotient (EQ) as this too plays an important factor externally; even as the limbic system is brain centric in it’s processing of emotions, the manifestation on the outside is clearly body centric. Education in the twentieth and now twenty first century tends to teach to two types of learners: visual and auditory. Yet, research has shown that multiple types of learners exist, not just two. Teaching methodologies need to start designing lessons, activities and classrooms not only for the typically forgotten or ever present kinesthetic learners, but for the quiet introvert and the shy extrovert and multiple combinations of them. Simple modifications such as state changes, strategically planned brain gym breaks or yoga ball chairs have shown to improve the executive functioning skills of sustained attention and task persistence. Additionally, when inserting brief yet planned breaks of any type, students are given an opportunity to work on set-shifiting a skill in high demand in the modern digital-world. Modifications for the introvert include quiet spaces in the classroom or projects with an option to work alone. The shy extrovert, may benefit from group projects with assigned jobs. However, this type of differentiated instruction is believed to be fitting only to the special education population. The rest of these students, rather than adopting a label that may or may not fit, they are instructed to adapt their bodies to fit because that is what the ‘real world’ will expect of them. Meanwhile, that potential intelligence lays mostly dormant because teachers are not teaching to them, and were probably never taught how. Neuropedagogy recognizes the learning process that processes from a brain and proceeds into the body offers perspective and solutions to teaching with the body in mind. Of all of the Elements that we train, it is the Mind Element that is the most challenging to explore.The brain and the mind are used interchangeably in the realm of education; however, scientists have discovered that although they do seem to be influential of the other, the brain and mind affect each other in very different but significant ways. The psyche in psychology practice have also been associated with the mind, and pop culture usually uses the word mind loosely as choice or state of one’s mental being. In referencing the brain, it is the material organic matter that has the physical manifestation of the neuronal processes while the mind is where consciousness and active thinking occur. However a thought may occur from consciousness which may alter the neuronal process that was intended to happen and vice versa. The mind discussion includes: theory of mind, the belief-desire reasoning in learners, and neuroplasticity in the habit loop, Behavior Modification and Habit Routine change that can have both positive and negative effects. Neuropedagogy of the mind starts with the premise that the mind of a child is complex. The Belief-Desire Reasoning from H.M. Wellman’s The Child’s Theory of Mind Mechanism shows just that. Thinking, perception, sensations, beliefs, cognitive emotions, physiology, basic emotions are all interconnected and simultaneously interacting to produce desires, intentions, actions and inevitably reactions. Actions are merely the tip of the iceberg to the ongoings of a child’s, and ultimately a learner’s mind. Educators who understand and teach with Executive Function Skills such as Metacognition, Emotional Control and Response Inhibition in mind, essentially have x-ray vision, which provides them the insight to ask the questions that will reveal the iceberg. Intention is marked by a WHOLE person, a product of perception, inception and conclusions. When science and education meet it is called Neuropedagogy, whose scientific aims are to learn how to stimulate new zones of the brain and create connections. The information that is presented here may appear overwhelming and less comprehensive in practice however it the changing the lens and perspective that allow best practices to occur, to remind those involved in direct service that people are not formulaic in their learning. The Neuropedagogy synthesis demonstrates just that. One of our current partnerships, The Teaching Firms of America Professional Charter School in Brooklyn, New York applies these principles by tying choice and action to their basis in the brain, Theory of Mind, and most importantly, the brain has the ability to change. They empower their scholars to be thinkers and owners of their actions and choices by giving them knowledge from the world of neuroscience. Finally, the utilize the principles of Neuropedagogy to guide and inform their instruction, interactions and interventions. It is a common occurrence to hear students say, “I can change my brain.” From initial classroom set-up to end of day classroom clean up, they created and continue an atmosphere of curiosity and intellect, which always seems to start and end with the brain. The act of being able to tolerate, or imbibe tolerance historically has never been easy to carry over. Either it be willingness to accept feelings, habits, or beliefs that are different from your own definition or the the ability to accept, experience, or survive something harmful or unpleasant definition, there are no guarantees of progressive thoughts of tolerance making formulaic and consistent headway (however having laws in place to guide tolerance in society does help). Based on these, there is then no cookie-cutter, logical explanation to the rise in overall intra and interpersonal disharmony due to intolerance…unless we consider tracing the frustration explosion phenomena to axiom number 3: ALL LONG-LASTING PSYCHOLOGICAL PROBLEMS ARE RELATIONSHIP PROBLEMS. The inability to communicate one’s thoughts and be heard, the ability to differentiate between being assertive and aggressive, and to tie one’s rights over other’s personal space all blurring the lines of the collective unconscious which is present a form of the unconscious (part of the mind Dr.Carl Jung proposed contained memories and impulses of which the individual is not aware) common to mankind and originating in the inherited structure of the brain. What then if the collective unconscious has been relegated to crevices of mini mental villages and worlds as the highly technological world is creating biological changes in the apportions of appendages (e.g. functions of the thumb due to device usage) and dysregulated exposure to speed and graphics? Choice Theory also says in axiom 7: All we do is behave. Behavior is situation and environmentally dependent, a thrive and strive response with surviving as the initial aim and contributing as the end goal. If one is not equipped with the tools to compete in the circles that are surrounding him or her, there is the tendency to withdraw, the flight, fight and freeze phenomenon courtesy of the cerebral Acetylcholine (Ach) all to preserve one’s sanity and self. Behavior is an output, both genuine and malicious. If however there is an aberration of brain function, behavior will also mirror the bizarre processes; the anticipation of learned helplessness via anger or hurt habituates the brain into assuming this is the ‘normal’ state of being. We don’t need to go to extremes however to be in learned helplessness — being in a job that is meaningless, a relationship that is not working, difficulties with parents or with children — all daily, common struggles experienced by us which push and pull stressors in one’s coping mechanisms. 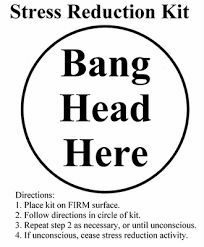 And our eventual responses can range from being on the high frustration tolerance (HFT) or low frustration tolerance (LFT), as per Dr. Windy Dryden, a leading Cognitive Behavior Therapist (CBT) in the United Kingdom. He says that high frustration tolerance beliefs are rational in that they are again primarily flexible and not grossly exaggerated. These beliefs are expressed in their full form, thus: ‘Failing my college exam would be difficult to tolerate, but I could stand it’. The stronger a person’s unmet preference, the more difficult it would be for her to tolerate this situation, but if the person holds an HFT belief it would still be tolerable. That would mean an HFT belief is consistent with reality, and is logical since it again makes sense in the context of the person’s preference. It is like a preference and an anti-awfulizing belief. Overall, it is constructive since it will help the person take effective action if the negative event that is being faced can be changed and it will encourage the person to make a healthy adjustment if the situation cannot be changed. HFT displays often are celebrated in Olympians, in academicians, or in service above and beyond required expectations of job descriptions. Low frustration tolerance beliefs, on the other hand, are irrational in the sense that they are first and foremost grossly exaggerated. They are couched in such statements as ‘I can’t stand it. ‘I can’t bear it., ‘It’s intolerable. When a person has a low frustration tolerance belief, it means one of two things: (i) the person will disintegrate or (ii) the person will never experience any happiness again. Since these two statements are obviously untrue, an LFT belief is inconsistent with reality. 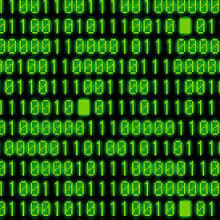 It is also illogical since it is a nonsensical conclusion from the person’s implicit rational belief (e.g. ‘Because it would be very bad if I failed my college exam, I couldn’t stand it if I did fail’). Finally, like musts and awfulizing beliefs, it is unconstructive since it will interfere with the person taking effective action if the negative event that the person is facing can be changed and it will stop the person from making a healthy adjustment if the situation cannot be changed. Extreme examples of LFT displays end up in news headlines: aggression by the bullied, the angry, the fundamentalists. If we brought these concepts of frustration to Education, we would refer to a recent graduate study by April Vian in 2012 from Kaplan University that looked at, “Teacher Frustration Tolerance and Disruptive Behavior of Special Education Students.” Teachers completed the Munich Personality Test with its measure of general frustration tolerance and a survey designed for this study of frustration tolerance for special education students. Results demonstrated negative correlations between teachers’ general frustration tolerance and numbers of student discipline incidents among both general and special education children. Results also indicated that teachers found specific disabilities to be more frustrating than others and that frustration tolerance of certain disabilities may predict numbers of discipline incidents for these children. Ultimately, the direction of the correlation was the inverse, with teachers having the greatest frustration tolerance for special education students also evidencing the greatest numbers of discipline incidents among these students. Among several explanations considered by the researcher, it was suggested that the school administrator in the facility where this study occurred was aware of teachers’ with high levels of frustration tolerance for special education students and thus assigned the most difficult students to these teachers. These lead teachers to have the greatest number of associated discipline incidents among special education students. Knowing how neurotransmitters are affected by bodily and emotional processes, it is then no surprise that levels of frustration can be influenced by these as well. As the focus in brain training is on strengthening the Pre-Frontal Cortex and Executive Functioning Skills, there also needs to be a heightened awareness for the environmental expectations to not demand more than what the developmental brain can muster, including in ourselves. Irrational beliefs usually stem from irrational or negative emotions that have been learned over time, over habitual exposure to situations that an individual deems impossible to control or comprehend, natural or society-caused. 1. The Techie – You can go online and plug them in to Lumosity, Mind360, Brain360 to train the techhie you’re gifting. 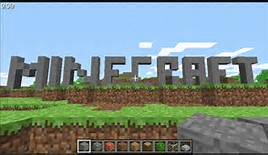 You can also engage further with systems (Wii and others) and subscribe to Minecraft or Terraria. Or you can gift them the ability to create Code. 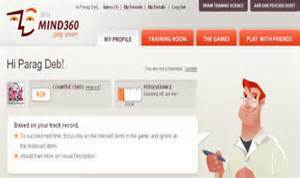 The Executive Function Skills targeted by these sites are usually indicated except for the console and subscription based games. 2. 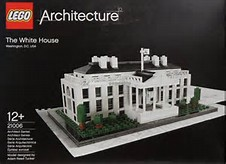 The Builder – If what you are looking for is a gift for someone who likes to build in 3D, then these items will make their day. The old fashioned LEGO has been morphed into Creators 3-in-1, Architecture, Movie themes, Pop Culture, and yes, even life sized characters! 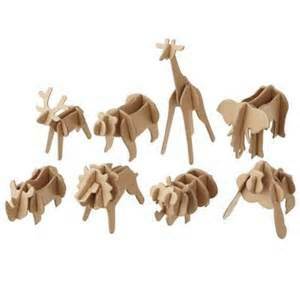 The Japanese store MUJI has also come out with 3D cardboard puzzles of animals that will come in multiple shapes and sizes. 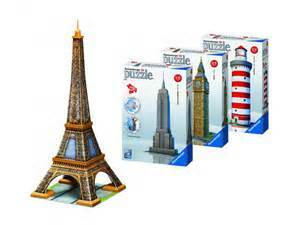 Ravensburger puzzles also have come up with their own version of a 3D puzzle using literal classic puzzle pieces to create monuments and other famous landmarks. 3. 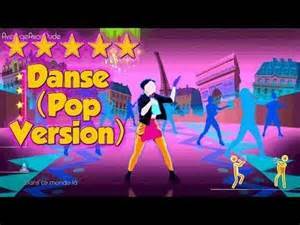 The Mover and Shaker – For the ones who love to use their limbs and reach out as far as they can reach to rhythm that they can truly appreciate, there are Just Dance songs (available free on YouTube) that are ideal for any age, as well as the Just Dance Wii game. For those who like the slow and steady pace, there are yoga or t’ai chi classes, or the Gaiam version on DVD or youtube as well. Still looking for the ultimate brain alternative that won’t include potential try outs for the X-games? 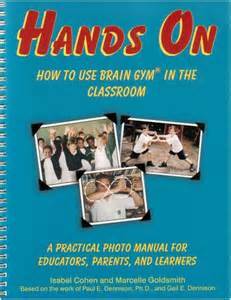 Try the book Hands On: How to Use Brain Gym in the Classroom. In this photo-filled book, authors Isabel and Marcelle, who are teachers in the South African school system, have captured the joy of learning through their use of 25 of the Brain Gym activities and 14 of the Vision Gym movements. Another option to Brain Gym would be the program FUNtervals. 4. 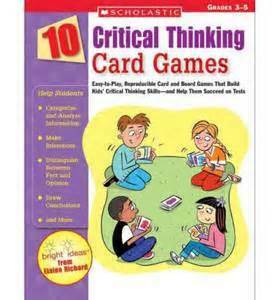 The Critical Thinker – And for the one who can’t stop thinking or philosophizing about the world and their future endeavors, good old fashioned board games which are timeless in their appeal but modern in their evolution would be the perfect gift. 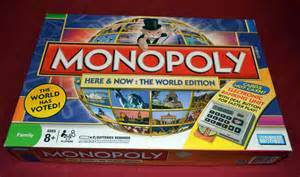 Monopoly, for example, has evolved into the modern world and into electronic banking or thematic characters which younger audiences can relate to. 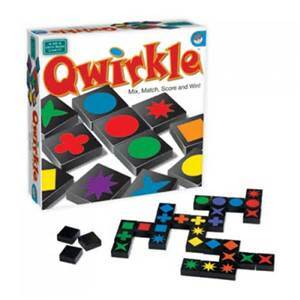 Other options are Sequence or Quirkle, and even Critical Thinking Card Games. 5. The Social Butterfly – These are probably some of the easiest people to find gifts for, as anything that will encourage a conversation or a gathering will enhance this person’s day. 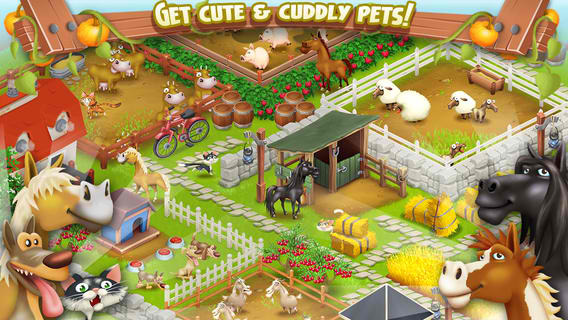 Supercell games like Hay Day cross over onto the tecchie world and provide planning opportunities. Other options include hosting your very own Jeopardy game. 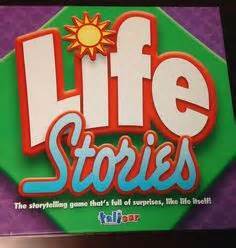 Two person card to board game hybrids like LIfe Stories and Say Anything also encourage opinions and self-awareness. 6. The Organizer – The one person who can manage to multi-task and juggle many demands on their plate and still manage to derive pleasure in listing and keeping things in their proper place and in complete order. 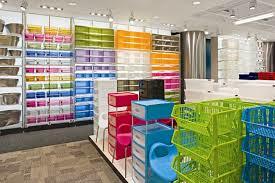 The favorites that come to mind are the Container Store, Ikea, and even Muji. These provide multiple options across many age ranges to enhance their already natural talent. Additionally, some options require assembly, which would target Executive Function Skills such as sustained attention, task persistence and almost guaranteed emotional control. 7. The Empathizer – For the one always has the lending hand, sensitive ear and time of day to encourage kindness and hope that things will be alright, the options are endless. 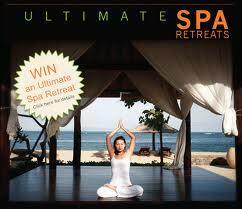 Here are our top three however: Aromatherapy sets, Relaxation sets, and Spa Retreats. For Aromatherapy, the better options are the ones which use natural oils that do not leave a burnt smell, such as Tisserand. Relaxation sets push the envelope further into the complete sets of a massager, aromatherapy and scented towels. Spa retreats are the best of them all, some that have within city locations while others are packaged with resorts or trips. 8. The Explorer – This is for the restless person, the one who cannot stay still in one place and seeks a new adventure in every free moment (or even within) a task setting. In the hustle of the holidays, there is an overload of places to be within one locale as the best gifts are being scoured for, however there are those gems that your explorer can definitely appreciate you for (faux or real). 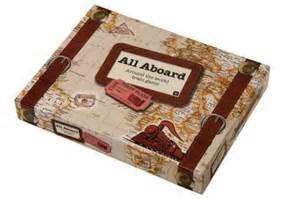 Games like All Aboard give globetrotters an idea of what to expect. 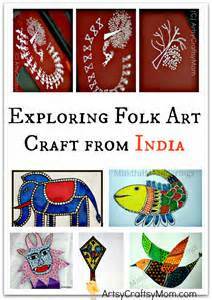 Also Geography in Arts would make a wonderful outlet from the actual walking around to passing a plethora of colors and a variety of paper. 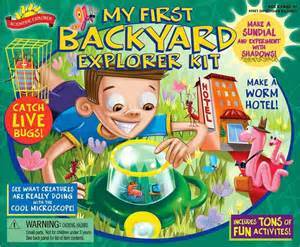 And for those who are interested in the backyard exploration up close, there is always the explorer’s scientific kit. 9. The Music Maker – For one who has music in their blood and can’t shake the melody off! The gifts for this person need to be nifty and personalized according to the sound preferences, headsets and complete control of the musical atmosphere. 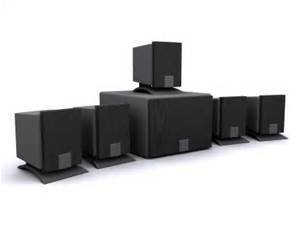 Surround sound systems that will not break the bank are always a great option. 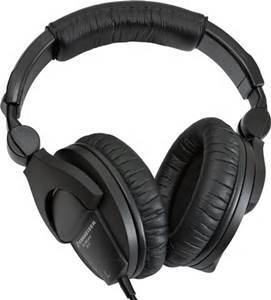 If they need an upgrade, wireless headphones that are not made for cinema and movies only, and lastly, there’s always the music lessons for short term that could turn into long term. 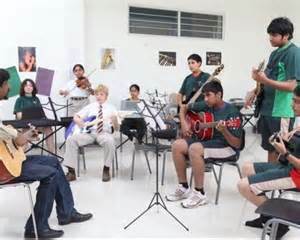 …to short term music lessons! 10. The Visionary Artist – Last but not least, the one with the hyperactive imagination from words to images and needs to put them down on the page. These are the ones who dare to dream and think big, much bigger and more complex than what the material world can currently handle or fathom. 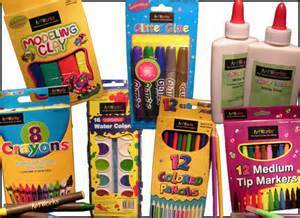 Art supplies are a necessary staple but not exciting or extraordinary to the artist. So there’s a step above the staple which is taking the artist to a new location of inspiration for them to hone their craft, be it more art classes or a new location in the city they live in. 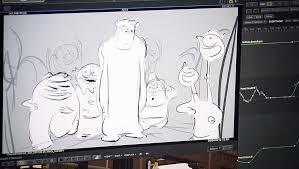 The highest of them all is (if one has the means and connections), is to spend up close and personal time practicing with idolized artists in action, even if it is the Disney Pixar studio! Disney Pixar Animation: Ultimate Experience! This is a partnership that brings together a revolutionary perspective of utilizing brain science and biology in the classroom and overall learning environment. We provide you with a uniquely interdisciplinary perspective on how children think, learn, and behave in the classroom by synthesizing the latest research from a variety of fields including: education, therapy, psychology, and neuroscience which creates a wholistic picture of the children you teach. 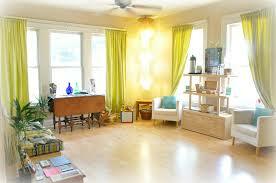 Our ultimate goal is to teach you to teach to the body, the mind, and the brain. Subscribe to our Podcasts via Feedburner or iTunes! Learus Ohnine - "Walls Were Made To Be Broken"
Before you go..you may want to check these out! Visit Execu-Sensory & Neuropedagogy's profile on Pinterest. A place to sample all of US. Discuss matters related to materials science and hydrogen embrittlement mechanisms of metallic materials. When three quarters of our household were diagnosed, it suddenly explained a lot. And led to a million more questions. It redefined us and how we do things and so far.... things are better. Way better. Here is our journey, with all the things we're learning, in the hope that others might benefit too.